This exciting basket provides all the twinkle the new little star needs. 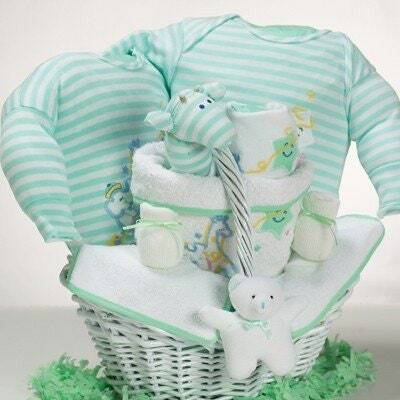 Our white wicker basket comes filled with a beautifully embroidered 100% cotton layette ensemble. Makes an impressive welcome to the world baby gift. Arrives beautifully wrapped in tulle.